The Black Friday Sales You CAN'T Miss! Hi everyone, it's that time of year. Time to shop until you are out of money. Haha, but seriously, the best time to get all the holiday gifts is now. And also- do some shopping for yourself. Before you shop, make sure to sign up for Ebates! Get money back for shopping. Click my referral link to get started. I get a check in the mail every month just from shopping! Plus you will get 10 dollars just for signing up! Amazon- They always have amazing deals! You can shop my top picks here. What I really want from Asos is this gorgeous coat! I had to order it after I saw it on my friend Annabel! All Saints- 30% off - I'm eyeing this blazer. Nordstrom is price matching all saints so you can get virtually all your products through Nordstrom! 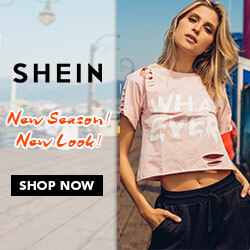 BOOHOO - 60% off everything! They have great trendy stuff. I have so many bodysuits and going out dresses from them. DSW - 20% off everything! Express- 50% off everything! I bought this mock neck top, this skirt, these camis, and the cutest booties ever! Forever 21 - 20% off 100 or more! My most recent purchase is this sweater. It comes in gray and camel! How gorgeous. Francescas - Buy one get 70% off anything! Jcrew- 40% off everything - I love the tortoise earrings! Maelle- if you've been wanting to try maelle - they have 20% off site wide! I recommend the face oil ( I use it morning and night! ), mascara, lip tints ( I love the berry color!) and bronzer. If you want more Maelle product info, read this blog post. You can also still use danielleh10 for $10 off your purchase! Monica Vinader- Flash sales all weekend! I purchased the cutest ring from Nordstrom. I purchased this ring from Nordstrom! I have been eyeing it all year. This is a GREAT gift option, because you can engrave her stuff! SO sweet and precious. Nordstrom Rack- extra 30% off sale! Sam Edelman- extra 30% off with samsgiving2018 - I got these cute snakeskin loafers for 53! TOPSHOP- up to 50% off everything! Ulta - so many good deals! my hair tool I use is on sale, 40% off anastias, Mario Badescu sprays are on sale! All the good stuff! MY FAVE dry shampoo, Mario Badescu Spray set, blow drying tool and so much more! I'm ordering this dry shampoo to try out. I also picked this highlighting kit for my sister last year and she loved it. I will be updating this through cyber week! Hope you guys find some good deals. Personally, everything I bought will be linked below. Happy shopping everyone! Hope you score what you wanted. Most importantly, I hope you all enjoyed a happy thanksgiving with your family.